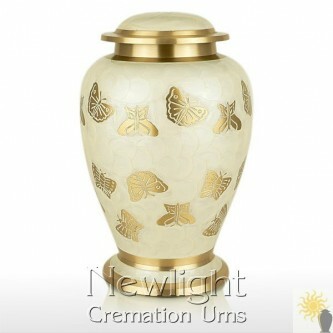 The Pearl Butterfly Urn is a very high quality solid cast brass cremation urn. 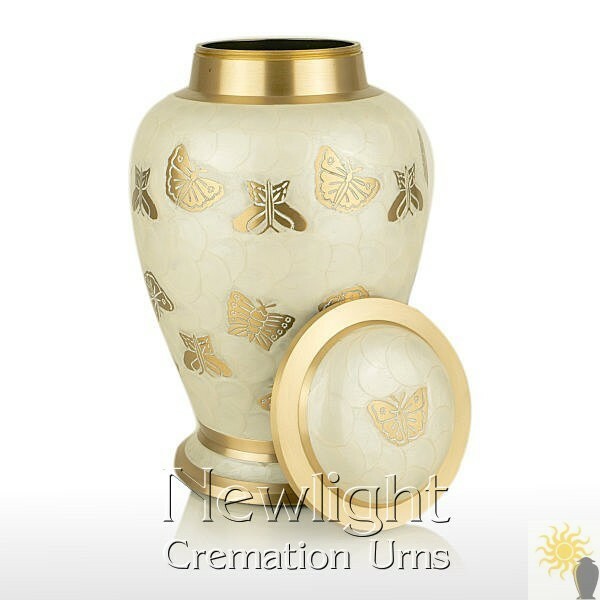 This funeral urn has stunning ivory coloured enamel that's been hand applied to create the appearance of over lapping petals and is embellished with little engraved butterflies.This urn is designed to be suitable for the ashes of an adult. 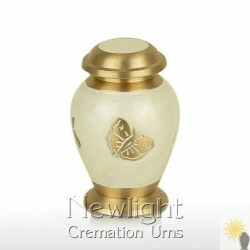 All our brass cremation urns are made in the same way by artisan metalworkers with decades of experience. The sections are hand cast and seamlessly assembled, then a smooth surface, decorative bands and the thread for the lid is turned onto the urn. 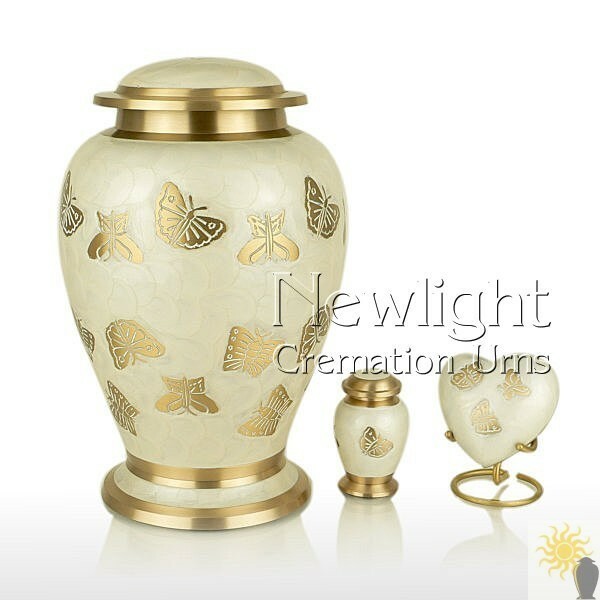 Finally many hours are spent applying the hand painting, enamelling or intricate hand engraving that decorates our urns. This method is time consuming but produces a far superior product and results in each one being subtly unique.